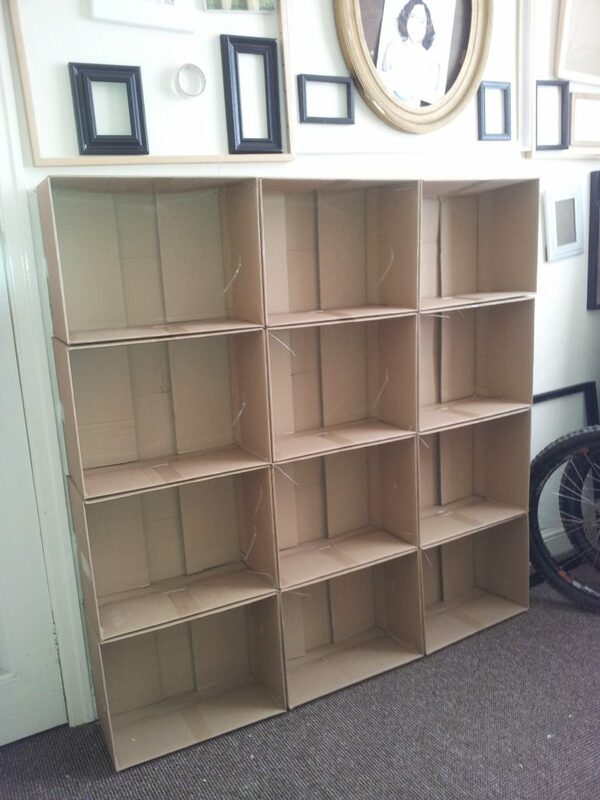 Making cardboard box shelves is not only a great way to recycle, but it’s cheap and easy! 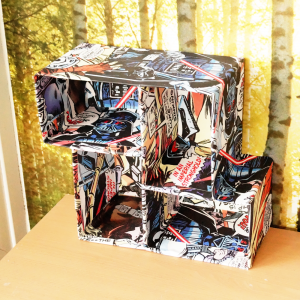 Have a look at some more Star Wars cardboard storage here! 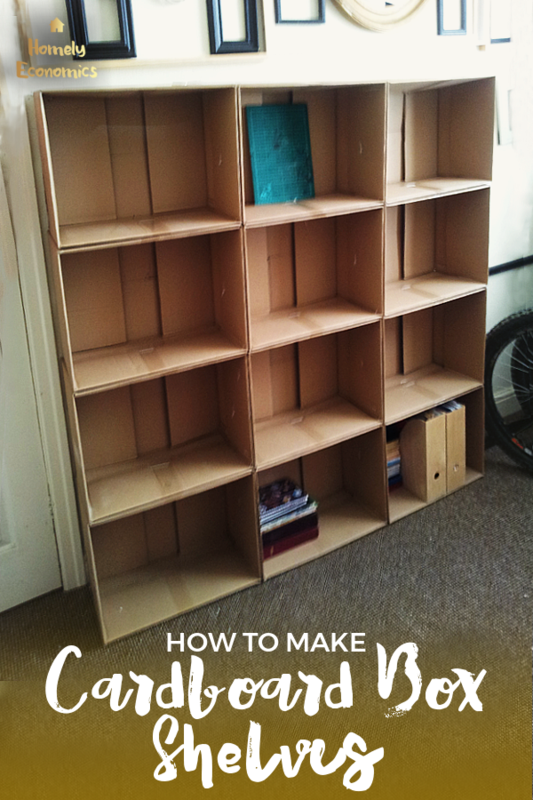 Now, the best adhesive for constructing cardboard box shelves is hot glue, so you’ll need a hot glue gun if you want to make durable shelves quickly. 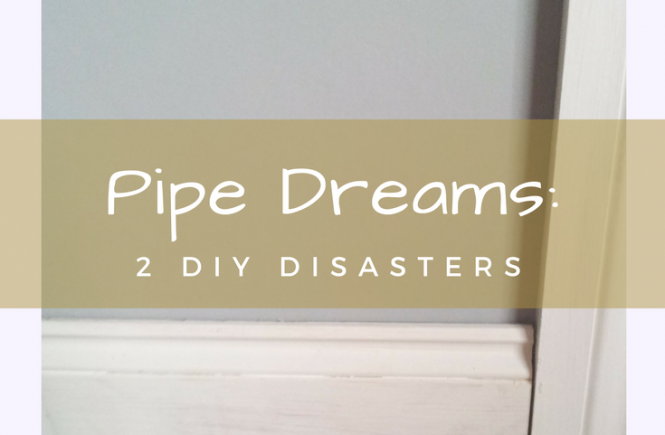 You’ll notice that I didn’t use this, because I just didn’t have a hot glue gun at the time, and I also needed to be able to dismantle the shelves eventually. I needed some shelves for my studio, but couldn’t justify the cost of buying them new, and couldn’t find any second-hand that were big enough. I bought a bookcase from a friend for £5 which freed up some floor space, but as our bikes were living in the studio at the time, I really needed to get that room sorted. After all, the point of having a studio is to make work, not to store stuff we don’t have any other space for. If I meant to work as an artist I had to assert to myself that it’s not a luxury, it’s a necessity for my job. So what did I do? I made something. 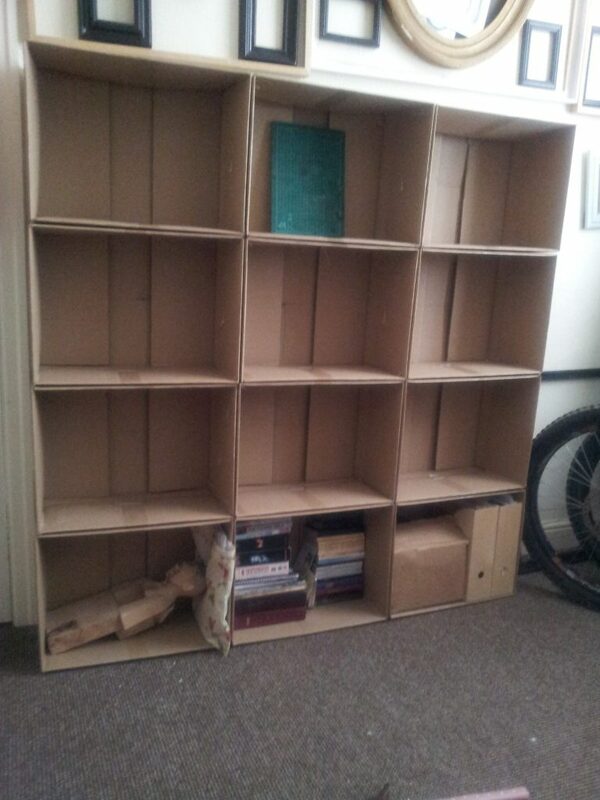 I snagged a load of cardboard boxes from my part-time job – they were being thrown out by an external company who had been selling supplies there, so they’d have been destined for the recycling bin anyway. Preparation – the more complicated tools weren’t needed in the end. Then, my loyal husband made a foray to the pound store for some cable ties, and after a bit of time and some sore fingers, I had a new storage system. I used some sellotape which I already had to close the backs, and started making the holes for the cable ties with my beloved multi-purpose rotary tool (from Lidl), but after a short while I realised a pair of nail scissors did a better job. So in all it cost me £1. I would have loved some brand new furniture but there’s no way the budget could have accommodated it. We were too focused on saving our deposit for our first home together. Before trimming the cable ties. 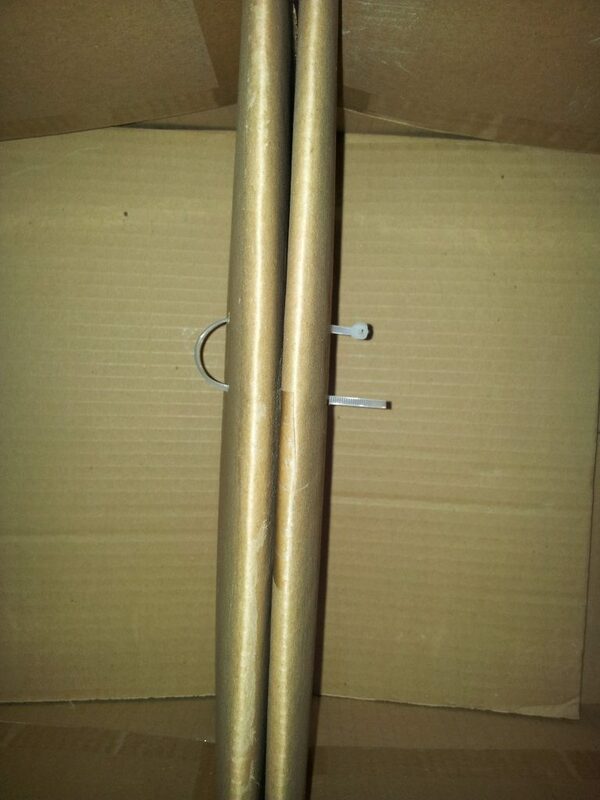 I simply “sewed” the boxes together in the arrangement I wanted with the cable ties. I used my rotary tool to punch the holes in the boxes for the cable ties to go through, but in reality, this was more than I needed. Any sharp, slim implement like a bradawl that can punch a hole through both boxes would do. As the shelves had to hold a lot of materials, I needed them to be as sturdy as possible. I fixed the boxes together at the sides, but also at the corner points and going around the front edges. 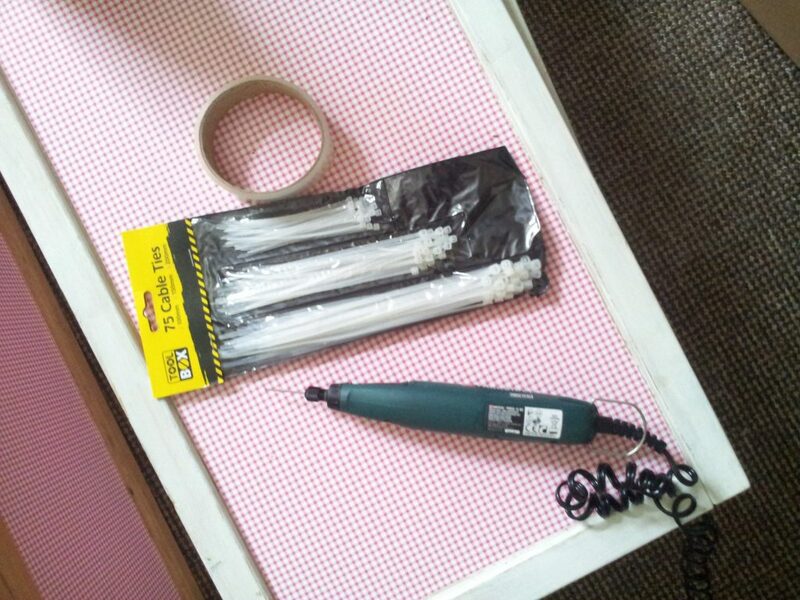 Next, I made cable tie loops at the back of the shelves to connect to hooks that screwed into the wall. Since this was pretty tall, and still only made of cardboard, I wasn’t going to take any chances with safety! I had originally planned to make my shelves much prettier, but things worked out well with our savings plan and we were able to move to another house quite quickly… so I left the utilitarian look! My shelves served me and my studio room well until we finally moved into our new home. 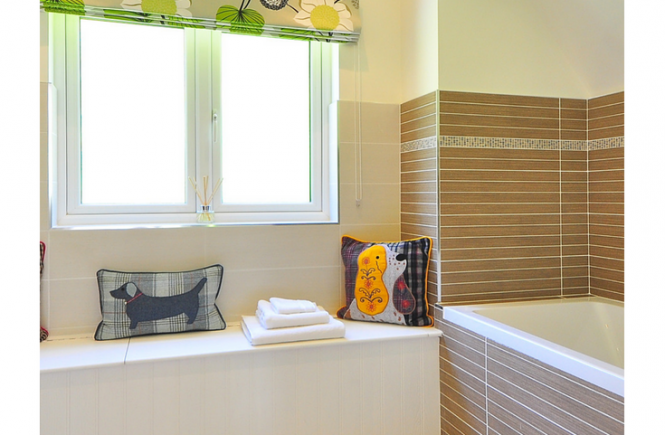 I didn’t have a spare studio room waiting for me, so was it a wasted project? 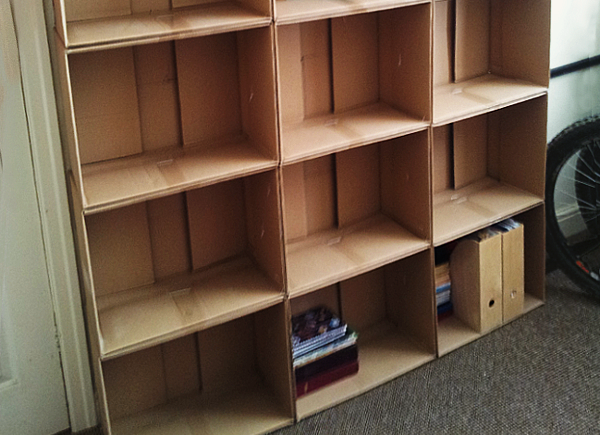 We dismantled our shelves and used the boxes to transport our things to our new home! 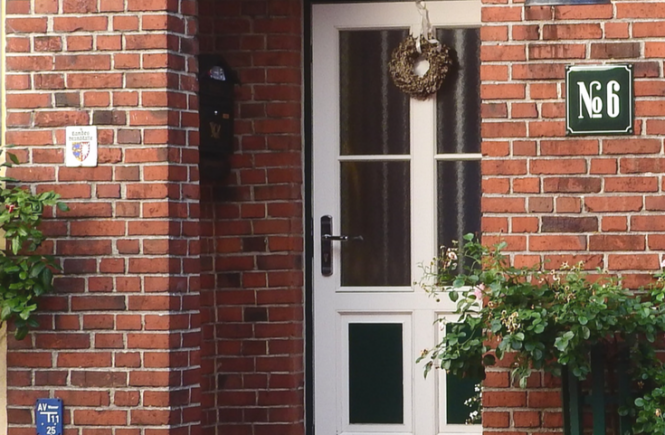 Have you tried a project like this? Would you?